Entire service area will experience low water pressure to waterless situation from 10:00pm (9/29/16) to 4:00am (9/30/16) due to the emergency repair of leaking 800mm diameter steel pipeline at Km. 3, Baan Highway, Butuan City (fronting Butuan Basic Homes). 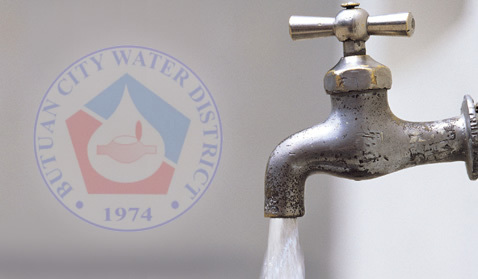 Store water before said water interruption.